By now just about all of us have either heard of or experienced first hand the effects of the housing boom and bust that started to unravel in 2008. Even though 3 years may seem like a long time ago, the collateral damage that was left behind is still as relevant as ever. With more than 30% of American Homeowners underwater on their homes (meaning that their homes are worth far less than what they owe) more and more homeowners are faced with the very difficult decision of whether to walk away and face foreclosure or try to swim through the sea of bureaucracy and red tape that is known as a loan modification. A loan modification, to put it simply, is the process in which homeowners work with the bank or banks that carry the note on their mortgage to try to modify the terms of their loan to make it more affordable for the owner. The definition itself might be simple but going through the process is anything but. In fact, out of the millions of homeowners who have tried to get their loans modified, less than 12% have been approved. Having been through this process myself on two occasions, once for my own home, which was declined and more recently on behalf of a good friend of mine, which was approved, I have experienced first hand the many, many, many frustrations that come along with trying to get a home loan modified. The lost paperwork, the complex financial statements that you have to generate, the threatening letters in the mail, the lost paperwork, having to explain then re-explain your situation to a different person every time you call and of course the lost paperwork. For those of you out there who have been discouraged or reluctant to try for a loan modification, now might be the right time to do so. Banks are under a lot of pressure from Congress with programs such as H.A.M.P aka Home Affordable Modification Program that strongly urges banks to move swiftly and more willingly when it comes to modifying upside down home loans in order to speed up the economic recovery. Before you begin the near David vs. Goliath battle with your bank, I suggest you roll up your sleeves, summon every ounce of patience you can possibly muster and follow these 6 steps I have learned through my own experiences. 1. Do the math- get all your facts and figures in order. Read through your mortgage statements; make sure you know the terms of your loan backwards and forward. Know what your LTV or loan to value is of your house and do your best to assess just how far underwater your home is and answer the following questions as honestly as you can. Do you really want to stay in your home? How much of a monthly payment can you afford? And …do you feel that your home will ever be able to recoup the loss of its original purchase price within your lifetime? Depending on your age, with the average drop in housing prices in some States as high as 40% or more. If you took a very generous 3%-5% annual appreciation of your home, factor in property taxes and commissions, it could take decades just for your house to get back to even. Your answers to these 3 questions should be the determining factors as to whether or not you should even begin the arduous task of loan modification. 2. Make your bank notice you- contact your bank and ask for help. Each and every financial institution has their own specific requirements and loan modification packages. Some of the more commonly required documents are a hardship letter, which is a description as to why you have fallen on hard times. Pay-stubs or tax returns if you are self-employed and profit and loss statements, which is basically a summary of your monthly income vs. your monthly expenses. There are some banks out there that make it more difficult to begin this process if you are current on your mortgage payments, thus forcing some homeowners to intentionally miss payments before they can even be taken seriously by their bank. 3. Dot your I’s and cross your T’s- once you know what documents you have to complete, make sure you complete them as accurately as possible. Keep copies of every item you send, whether it be via fax or email. Be meticulous in your record keeping, take notes of whom you spoke with and when and always make sure that every thing you send is the absolute most current information. 4. Don’t cry poor- a common misconception is that the less you make, the more likely you will get approved. That could not be further from the truth. The fact of the matter is- the bank wants to see that you are financially solvent enough to make timely payments on whatever your modified loan turns out to be. If you plead poverty your application will get denied because your bank will think that you will be unable to pay for any mortgage, modified or not. Keep your mortgage payments within 30% of your total monthly income as a standard barometer. On the flip-side, there is no such thing as making too much money to qualify for a loan modification. Most banks look at your debt to income ratio and not just how much money you make. 5. Persistence pays off- always follow-up with your bank. Call them after sending them any documentation to confirm receipt. Call them at least once a week to see how far along you are within the process and whether or not there is anything else that they need from you. Always negotiate with a stern demeanor and a soft voice rather than with a heavy hand and a loud mouth. Getting angry or yelling over the phone will get you nowhere fast. As you read in my opening paragraph, the most common frustration I experienced was lost documents. The last thing you want to do is give them any reason to lose your docs again. If your modification is approved you could save yourself thousands of dollars a month for the next 2 or more years, which is well worth the effort! 6. If at first you don’t succeed hire someone to do it for you- there are a number of professionals that you can pay to go through this process for you. 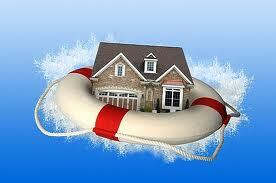 Some attorneys, mortgage brokers and various finance consultants specialize in loan modifications. If you decide to go this route, make sure the terms of what they are or are not guaranteeing are crystal clear and be prepared to pay up. Most of these “professionals” charge anywhere from $2500-$7500 with little or no guarantees. 4. The most common would be the combination of 1 and 2. Loan modification is a great option for borrowers who want to cut down the payments on their loans. If you want to learn more about this process, you should contact a loan modification attorney right away. Thank you for your comments and readership...please visit again soon. I must say that loan is a really good option for emergency problems. Before you do a loan make sure that your financial status is now below the scale or else you end it putting your self in a deep hole. Thanks for visiting and for leaving a comment.